The hero of the Avengers on a Marvel wall poster ! 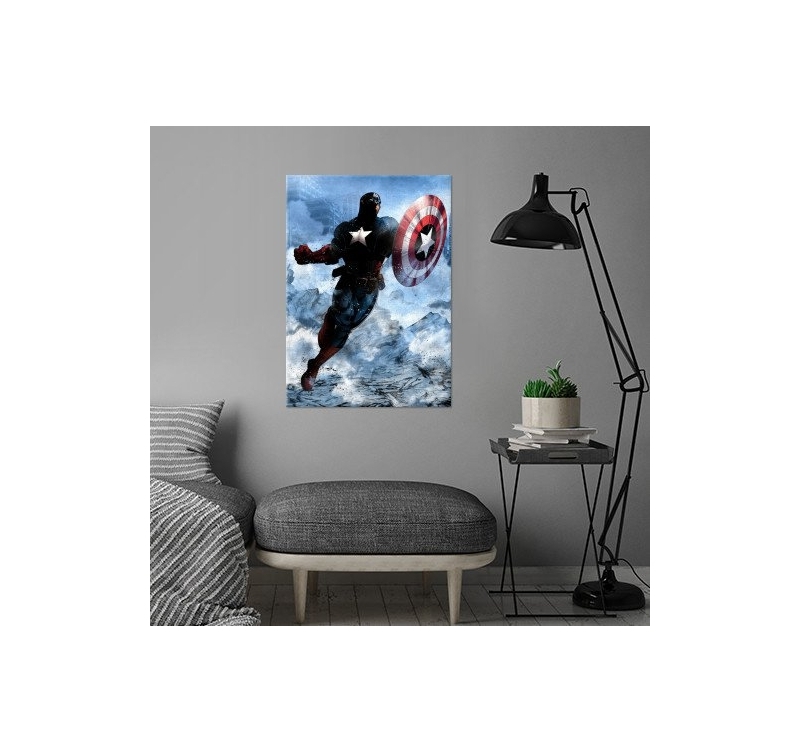 Discover this unique version of Captain America on a metal poster ! Free delivery in metropolitan France and Belgium for this Avengers poster. 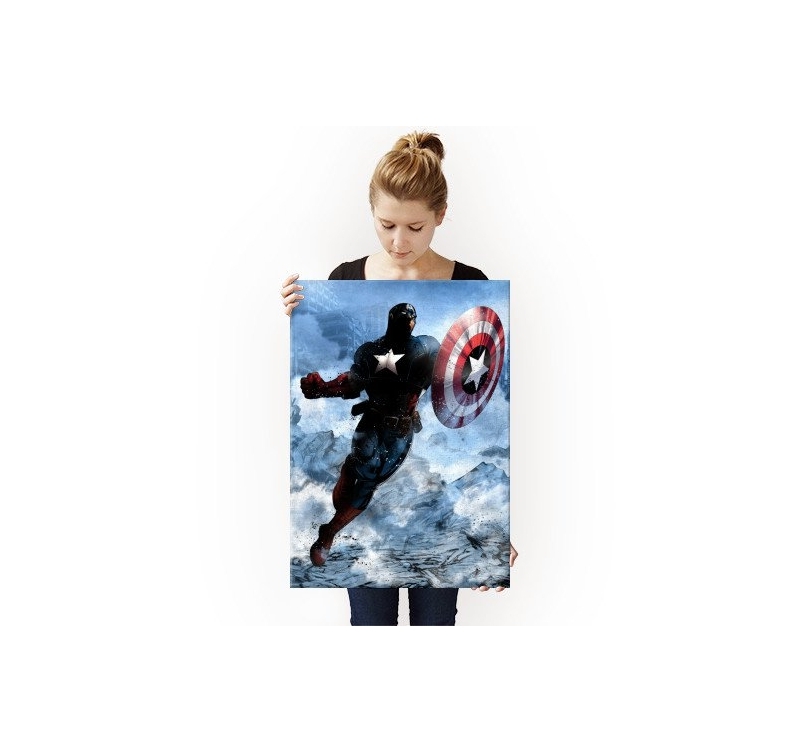 A superb realisation of Captain America on a metal poster ! On a blue background, this Marvel poster was created by our artists to give a unique and original design of the famous American soldier. 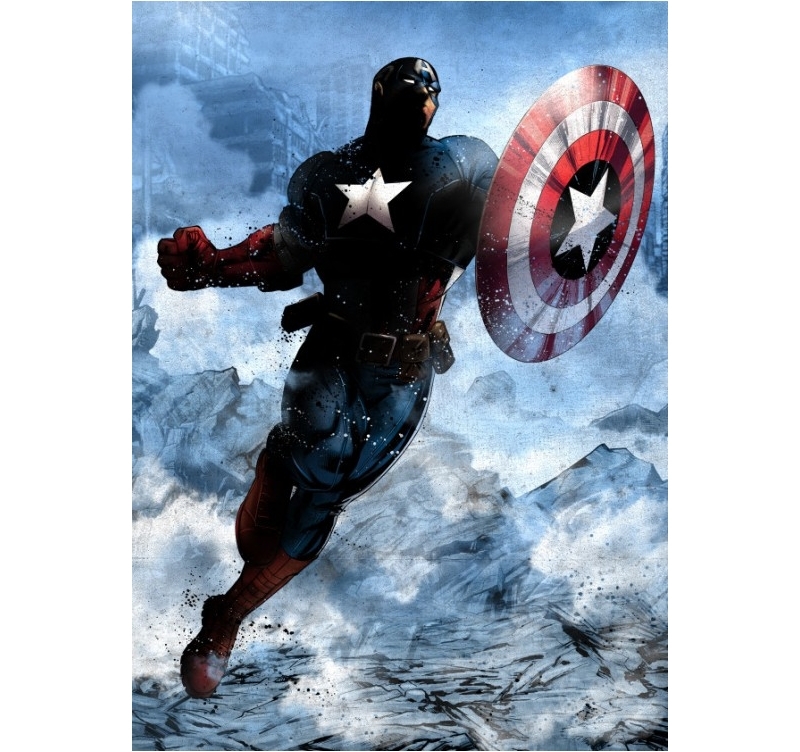 For all the fans of Captain America and Marvel heroes, this exclusive wall poster will be the work of art your collection lacked. 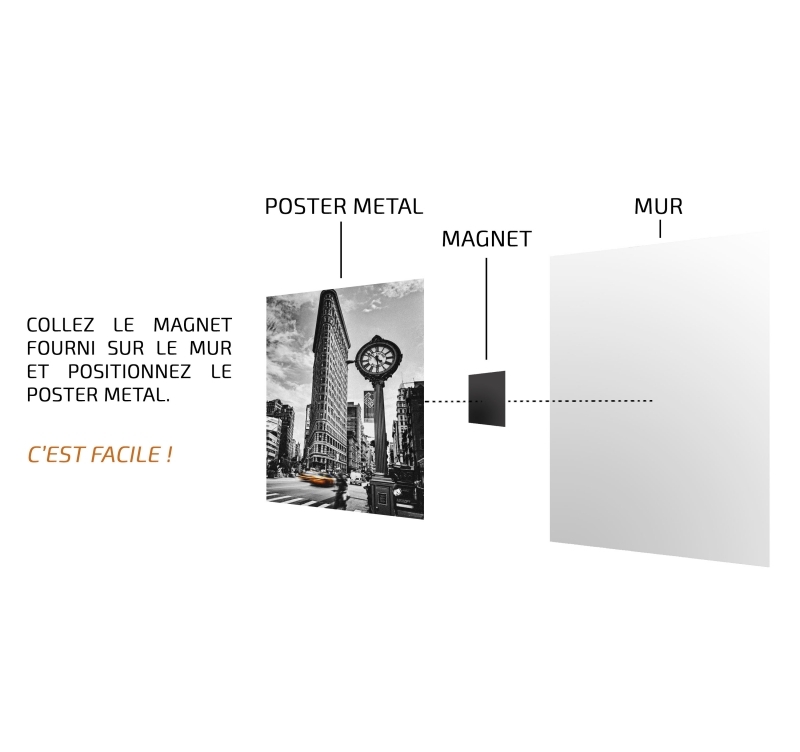 An Artwall and Co innovation, hanging up this Captain America poster will be done in a few seconds thanks to a system of magnets and with no need for drilling a hole in your wall. Go and defend the world with this wall metal poster of Captain America !